The Chinese Smartphone brands are grabbing Indian market tightly in affordable range; there are already lots of Chinese manufacturer selling their Smartphone like Coolpad, Huawei, OnePlus, Xiaomi etc. Recently LeTv launched an eye candy exclusive device LeTV (LeEco) Le 1S only in 10999 INR ($ 160) featuring following key specs MediaTek 2.2 GHz octa-core processor, 5.5 inches TFT touchscreen, 13 and 5 MP camera with 4K support, 32 GB ROM without option of expending memory, 3 GB RAM and 3000 mAh battery. 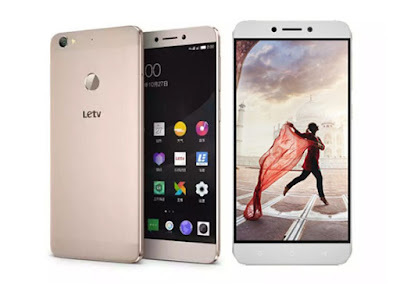 Here we will have Short review, Pros and Cons of LeTV 1S. LeTv manage to create a very premium design and build quality with metallic unibody, someone can easily fall in love with the way phone is crafted. With premium metallic covering and a 7.6mm thickness phone feels compact in hand. Power and volume buttons are on the right, SIM and SD card tray is located on the left. There's a standard 3.5mm audio socket on top and Type-C USB port on the bottom. It has 2 speaker grilles but only right side speaker work. The 5.5 inches TFT display is configured with the 1080x1920p resolutions and 403ppi of display density. Colour reproduction and the sharpness of the screen is well balanced and it has quite wide viewing angles. The experience of watching videos in the phone is fine. Corning Gorilla Glass 3 is protecting its display. I personally think the company must focus on manufacturing or importing some good quality camera sensor and lenses for the Smartphone the Le 1S photographs from 13 MP primary camera is acceptable type in daylight and colour looks like washed out. Photos in insufficient light appears Noisy. 5 MP Selfie camera is also not so impressive captures ordinary pictures. Processor taking better stands for this handset; MediaTek Helio X10 octa-core processor with 2.2 GHz of clock speed never let the phone in hassle mode; running great for multitasking and smooth user experience. Although in heavy use heating problem arises. Graphical delivery by the PowerVR G6200 GPU is also quite impressive. Company is providing 3000 mAh battery with handset but this power source is not capable of sustaining a durable backup for the handset. Mobile is featuring Type C – Quick Charge support which charges the phone within 1.3 hours but battery is hardly maintain the backup for one full day. The phone also has a fast and an accurate fingerprint sensor. Feel and looks premium in hands because of its Metallic uni-body Design. No External SD card is supported. FM radio is not included. The Chinese manufactures LeTV takes a lot of effort to make a best craftsmanship in its design and look; handset feels quite thin and premium to hold. The on paper specs are also too sufficient but there are two departments where it made excuses; first one is camera quality- we are expecting a better quality camera but phone is unable to take good quality pictures, and other downside is its battery which has low backup as well as heating issue. If these 2 factors doesn’t matter you can go for this Smartphone, to keep in mind the fact that it is middle rang budget phone.